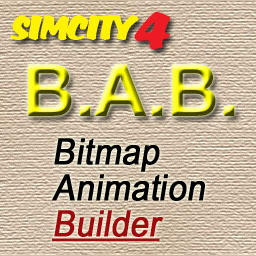 The Bitmap Animation Builder, most known as SC4 BAB, is a gmax-addon, that allows the BATter to create animated props with ease. It was created by OverPoP and had undergone rigorous testing, for example by SimGoober, before it's actual release. This page was last modified on 25 February 2012, at 19:54.